A unique opportunity to invest in an already complete selection of 16 studio apartments providing a 9% yield. 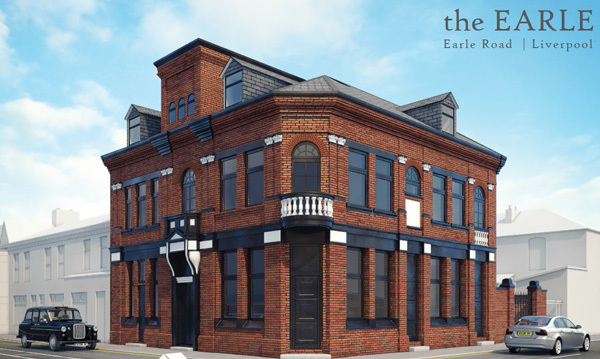 The Earle comprises 16 brand new studio apartments in total, in a fantastic regeneration area of Liverpool. These student/young professional apartments are a great little way to benefit from the high returns in student property with a very low starting price. The development was build complete at the end of 2014 and the fantastic letting agents have achieved 100% occupancy with a mix of students and young professionals. Fresh Invest are presenting the opportunity to invest in this development and benefit from the current tenancies in place and the ability to rent to students going forwards. All 16 apartments are currently rented to a mixture of young professionals and students. One of the largest strengths with this investment opportunity is the ability to rent units to both students and young professionals. If for any reason a studio is not filled with students one academic year, there is a proven and viable fallback. A very secure investment. Situated in Wavertree, this is a great location to benefit from the bustling student scene around these areas. With Smithdown road on this development’s doorstep it really is a prime position for students. With a huge regeneration plan in place for the immediate area around this building prices should rise over the long term as the area becomes even more desirable. If you decide this investment is of interest then please use the request information tab to find out more. We will send you through the brochure with all of the details including pictures, location details and the latest availability. Once you have had all of your questions answered, we will take you through the quick and easy reservation process. Following on from this, contracts should be issued within 28 days with a simultaneous exchange and completion preferred.